The Le Vian name has been associated with the world's finest jewellery since the 15th century and is now worn by Hollywood celebrities and the glitterati. 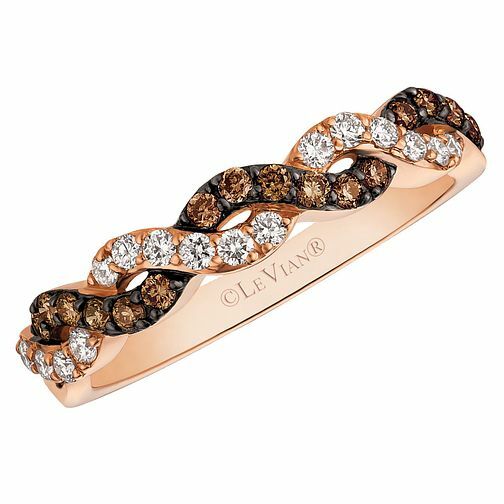 A delectable Le Vian 14ct Strawberry Gold ring featuring a twist of delectable chocolate and vanilla diamonds. Le Vian 14ct Strawberry Gold Diamond Ring is rated 5.0 out of 5 by 1.